Just so everyone can see here are the race times and the entrance lost for Crosslé Racing Drivers Club. Tracey McGowan added a new photo to Crosslé Racing Drivers' Club's timeline. Crosslé Racing Drivers&apos; Club Crosslé Racing Drivers' Club added 22 new photos. Join us at Spa for the Spa Ardennes Challenge at the Summer Classic meeting. Qualifying 30 minutes and 2 x 40 minute races over the weekend. A quality grid with rolling start, compulsory pit stop of 1 minute standstill. Driver change and refuelling option, if needed. Get in touch from further information. 4 May, Silverstone National, 1 x 40 mins 750 MC. 3/4/5 May, Dijon - Sportprotos Cup. An opportunity to revisit Dijon in early May. The October HVM meeting will not feature the 200KM of Dijon races we enjoyed there in recent years. 1/2 June, Brands Hatch Speedfest, 3 x 15 mins 750 MC. 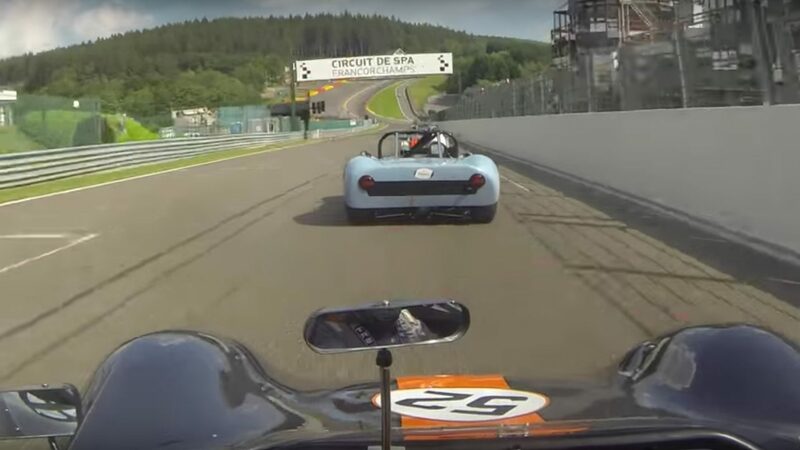 27/28/29/30 June, Spa Summer Classic - Spa Ardennes Challenge. 6 July, Snetterton 300, 2 x 20 mins 750 MC. 6/7 July, Croix-en-Ternois. Organisers are attempting their first Historic Festival at this small circuit located some 90 mins from Calais. Unfortunate date, falling between Spa and Solitude. 3 August, Silverstone - Bentley Drivers Club. 24/25 August or 31 August/1 September, 1 x 40 mins Brands Hatch, 750 MC. 1/2/3 November, Algarve Historic Festival - Algarve Sports Cars. When planning our European events I strive to secure invitations for our cars to race at prestigious meetings on good circuits where we can join quality grids. There is an excellent selection of fixtures on offer for 2019, please make the effort to organise your diaries and join us.